The colorful pink topaz gemstone and polished sterling silver elicit thoughts of blush and beautiful. Apples of Gold has a unique gift idea for everyone on your list. 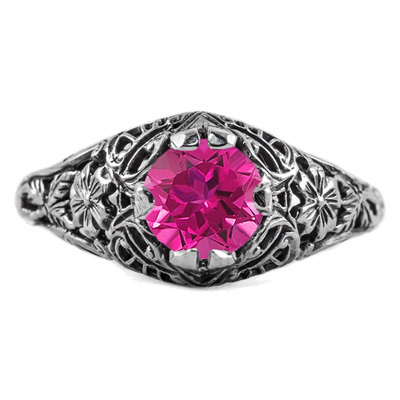 This sparkling pink topaz gemstone is set in a floral Edwardian style women's ring nested in sterling silver. Buy one for as a gift for yourself or every woman on list. This pink topaz gem is sure to delight. 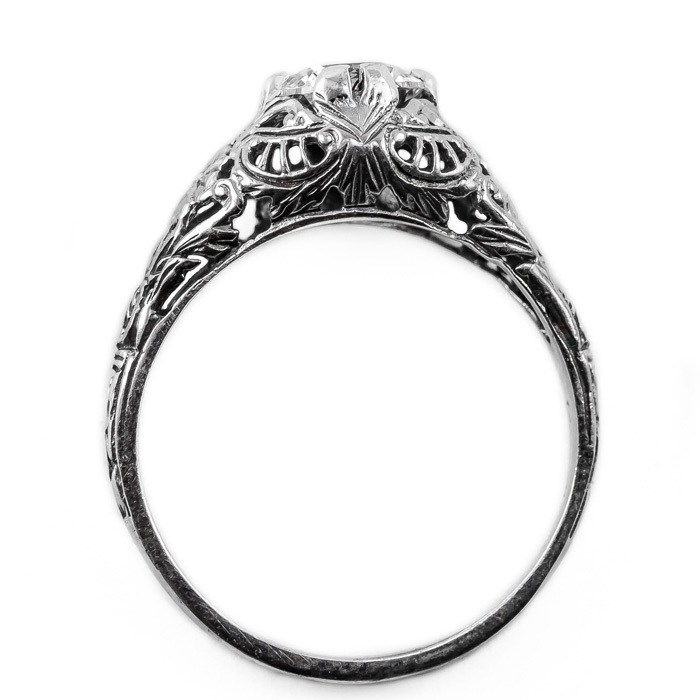 This lovely ring measures 6mm and is available to ship today. Please reference our ring sizing chart. 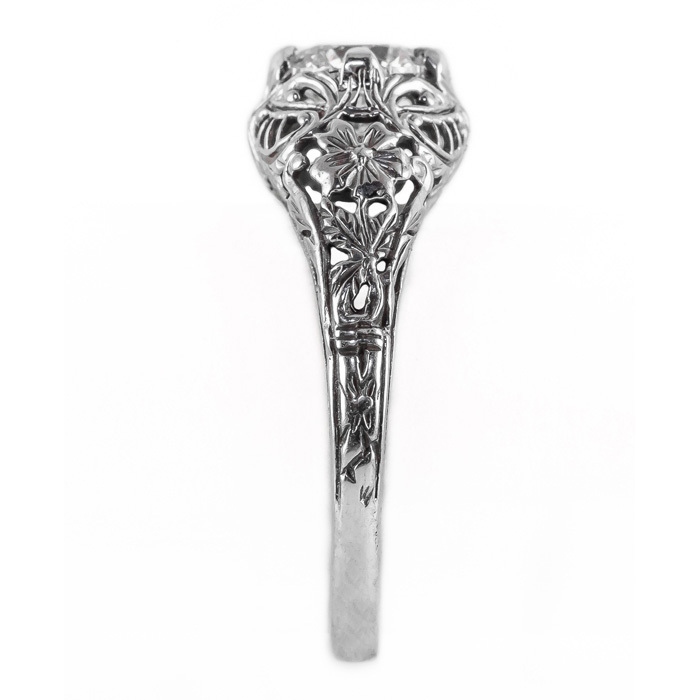 We guarantee our Floral Edwardian Style Pink Topaz Ring in Sterling Silver to be high quality, authentic jewelry, as described above.